Whether it is sharing in lifestyle of one of the many indigenous communities’ longhouses, exploring gigantic caves in the UNESCO World Heritage of Gunung Mulu National Park, you will find Sarawak offers a host of memorable experiences to bring home to. From participating in a volunteer programme to learning how to cook Sarawakian dishes, from making new friends at major festivals and events to seeing orangutans up close, Sarawak is a prime destination for the intrepid traveller in you. As part of Malaysia on the island of Borneo, Sarawak is a peaceful and stable place for travel, suited for large groups or single travellers alike. 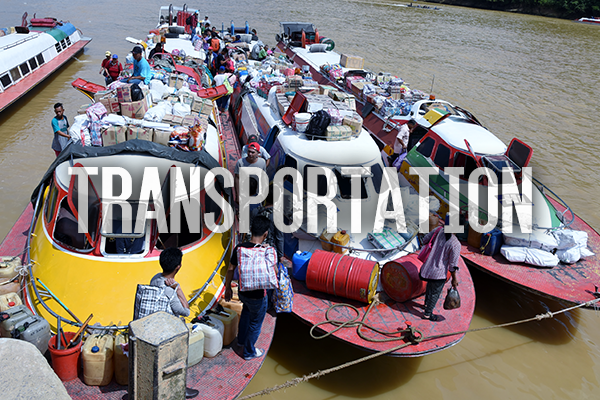 Sarawak, the largest state in Malaysia, is home to 27 ethnic groups. With 45 different dialects, each group has their own unique stories, beliefs, traditions and cultures. 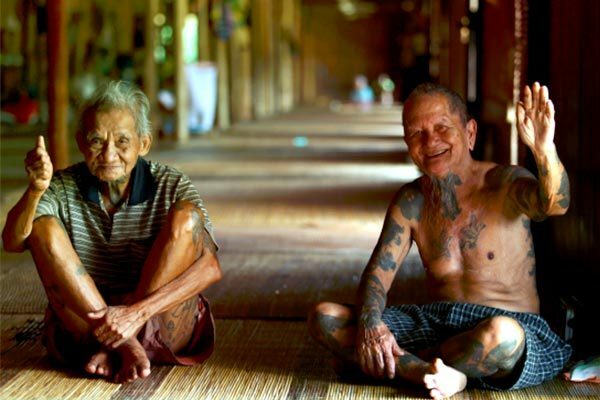 You can to meet people from the Iban tribe, known for their legendary headhunting customs from days of old. They have long since ceased headhunting, but they still maintain our rich customs, art, practices and language. The Orang Ulu, or ‘people from upriver,’ comprise of different tribes such as the Kayan, Kenyah, Lun Bawang and Kelabit. Their exotic art and music has spread internationally, as seen in the growing popularity of the boat lute or sape. The sape has become the symbol of the Rainforest World Music Festival, one Malaysia’s largest music festival. Entrenched in Sarawak’s history are the remnants of the reign of the White Rajahs, the Brooke family monarchy that ruled the Kingdom of Sarawak from 1841 to 1946. Traces of the Brookes can be found throughout the state, from physical reminders such as colonial buildings, preserved relics that populate today’s museums, and events such as the Sarawak Regatta, to the more intangible traces within the law and culture of the people. Sarawak’s ever-expanding world-class museums, authentic hospitality, and a diverse religious and cultural trade, all form part of the cultural attraction. Batang Ai is a special place where visitors can both experience the Borneo rainforest and learn about Iban cultural traditions. 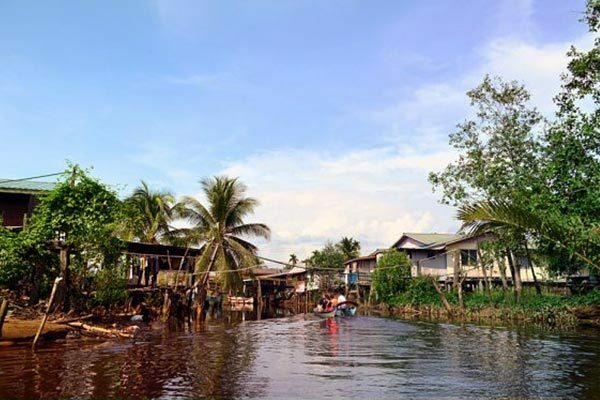 Mukah, the Melanau heartland may be an off-the-beaten track destinaton to most visitors to Sarawak but the place is a cultural and foodie experience for those who have been. 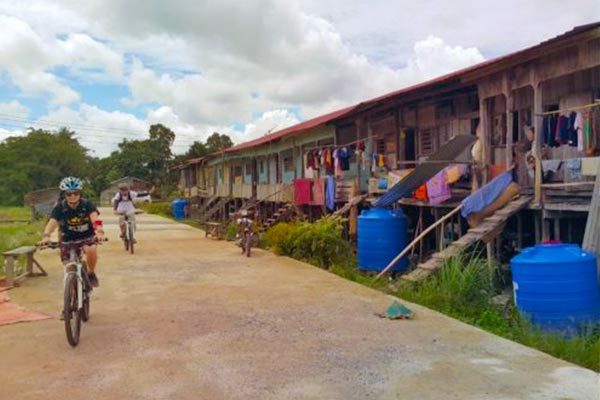 Lying at an altitude of about 3,500 feet above sea level in the north-eastern corner of Sarawak is the famous Bario Highlands, a Kelabit territory, one of the minority Orang Ulu tribes of Sarawak. Land, waters, sky; pick your adventure! 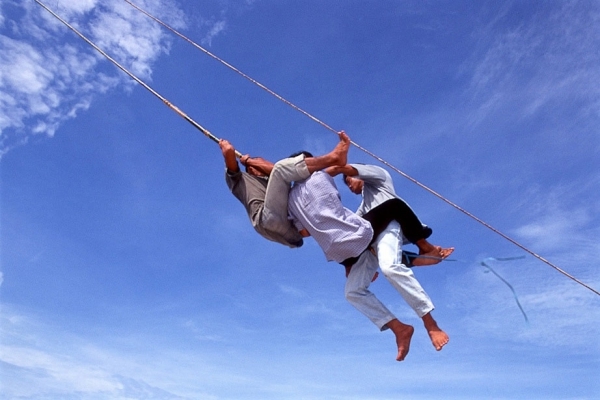 On land, there is everything from jungle trekking, mountain climbing to adventure caving and rock climbing. In the water, you can choose from river activities like scuba diving in Miri and Kuching, watersports, deep sea fishing, jet skiing and yachting. Looking for some airborne adventure? You can jump from Sarawak’s tallest building…safely. Or you can peer down from the treetops from the canopy walk in Mulu! Urban explorers can visit Kuching, which has one of the most interesting architecture mix in Malaysia, with colonial buildings amongst religious, cultural and modern architecture. In addition, you can not only take home the arts and crafts created by local artisans, but can also learn how to make them from the local skilled craftspeople. The Orang Ulu are adept at teaching skilled beadwork, while the Iban are deft weavers. Both the Melanau and Bidayuh are associated with basketry making and weaving of hats and artifacts using natural resources like bamboo, palm, rattan and tree bark. 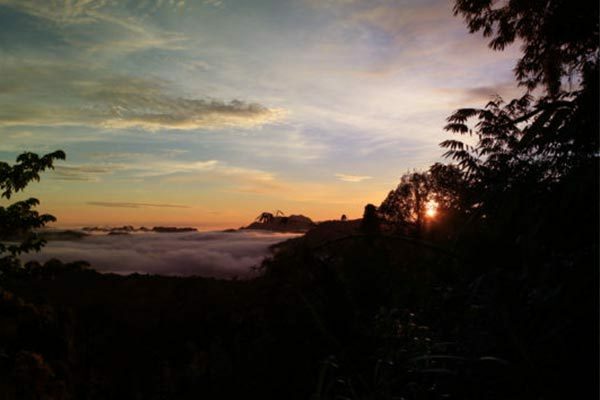 The Bungo Range between Sarawak and Kalimantan Indonesia offers an epic Sarawak trekking trail that is easy to reach from the capital city of Kuching, yet adventurous enough to test the fitness in you. 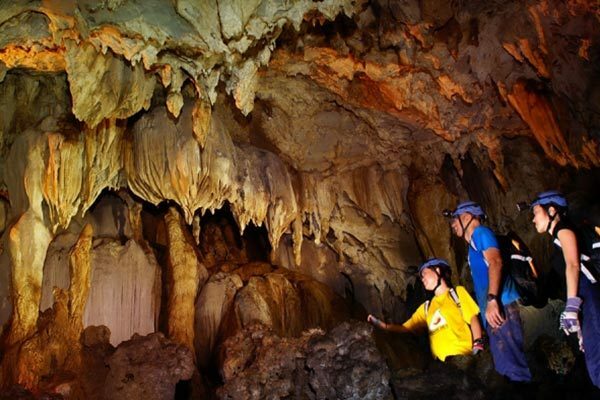 Stop on by and experience caving in one of the 100 world class caves found in Sarawak! 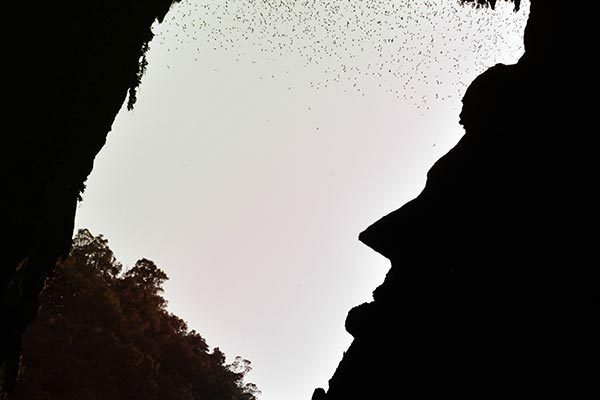 over 500 cave entrances documented in the Kuching area alone. 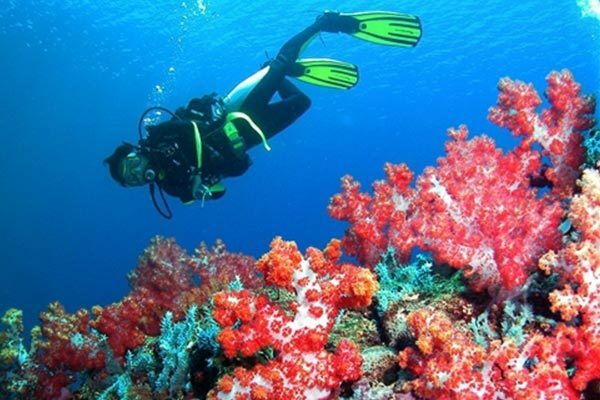 The Miri-Sibuti Coral Reefs National Park, lying at depths ranging from 7 to 30 metres has an average visibility of 10 to 30 metres. There are also some interesting wreck dives. Sarawak has a whopping 56 totally protected areas, 37 gazetted national parks, five wildlife sanctuaries and 14 nature reserves. Its rainforests are the size of Austria. 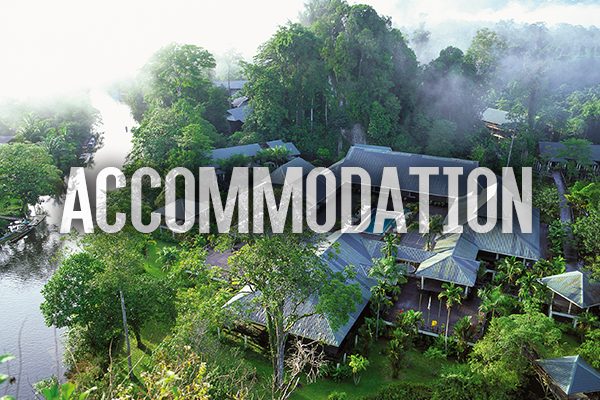 Sarawak’s rainforests house one of the world’s richest and most diverse ecosystems. Home to the world’s largest flower, the Rafflesia (that can grow to the size of a coffee table), squirrels and snakes that fly, deer the size of cats, plants that eat insects (and small animals). The orangutan, proboscis monkey, hornbill, the Rajah Brooke butterfly and the silverleaf monkey, all call Sarawak home. Experts believe that there are some species of flora and fauna yet to be discovered. Sarawak also has the most number of Important Birding Areas (IBAs) in Malaysia, with a great portion of Borneo’s 650 bird species having been recorded here. Mulu National Park is a priceless UNESCO World Heritage Site, in a league of its own as it qualifies for all four of the World Heritage criteria. Fewer than twenty World Heritage areas have managed this feat. Bako National Park traces its first visitors’ footprint to 1957, making it one of Malaysia’s oldest National Parks. Niah National Park is famed for Sarawak’s genesis, with evidence of human presence from 40,000 years ago discovered in the form of Paleolithic and Neolithic burial sites. For over 20 years, the wardens at Semenggoh Nature Reserve have been training young orangutans, who had been orphaned or rescued from captivity, how to survive and repopulate in the wild. The story of Mulu, the UNESCO World Heritage site, started so long ago, in a time span that is difficult for us humans to grasp – 40 million years ago – and to make it even more intriguing, the Mulu story began deep under the sea. 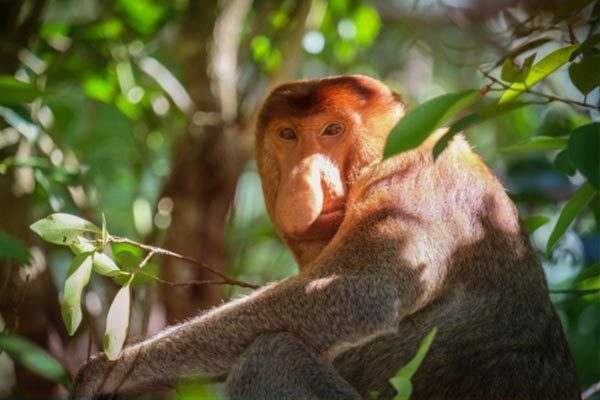 Bako contains a wide range of flora; in fact, in Bako National Park it is possible to see almost every type of vegetation found in Borneo in this small peninsula, as well as fascinating animals like the proboscis monkey. Push your limits and learn what you are truly capable of, in the heartland of Sarawak. With its winding rivers, running like veins through the land, you can go for exciting trips by longboat or kayak through winding streams. A true test of resilience happens during the dry season, when rivers become harder to navigate without true strength. Cycle from town to town, over roads and across fields, discovering the hidden gems along the way that would never be discoverable by car. Join the Kuching Marathon, or one of the many marathons held throughout the year, and connect with runners from other walks of life. Or maybe join the tougher Sarawak Adventure Challenge, with 52km of trail running and mountain biking through the hilly underbrush of Sarawak. Better yet, make your journey a chance to leave a lasting positive impact on the land you visit by volunteering. There are packages for volunteer tourism, where you can lend a hand in the preservation of Sarawak’s indigenous animals such as the orangutan and the sea turtle. Follow the trail of the White Rajahs in the bygone era in their conquest to suppress the rebellious Headhunters, cycle into the Iban Heartland of authentic long houses, interior waterways and rustic forts. The Padawan region is blessed with beautiful landscapes and clear flowing river. 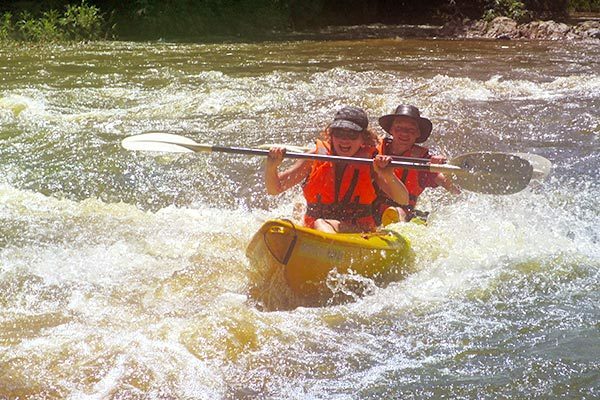 Home to the majority Biatah Bidayuh group, experience a kayaking adventure that can be anything from a short 2-hour trip to an adventurous, torturous and challenging full-day tour. 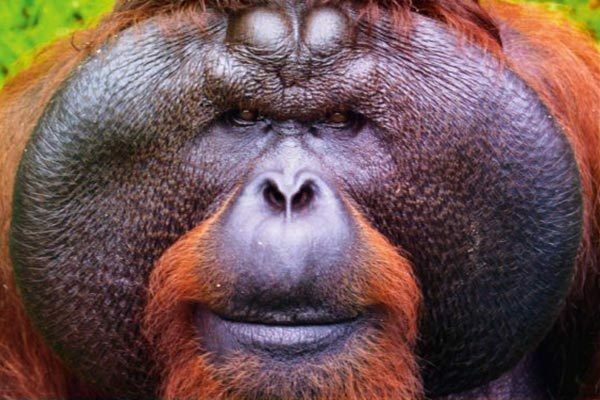 Batang Ai National Park and Matang Wildlife Center offer a unique Orangutan Volunteer Programme. So much to eat, so little time! From the delectable “manok pansuh,” chicken cooked in bamboo, to the savoury “Sarawak laksa,” to the delicious “kolo mee,” to the mouthwateringly crispy jungle fern “midin” dish, to the herby broth known as “kueh chap” and the rich “manok kacangma” made from motherwort and rice wine, to the seasonal “dabai” fruit, to the Melanau “umai” delicacy with thin slivers of fish and rich sago pearls, Sarawak’s very long list of unique culinary offerings is unparalleled. The late Anthony Bourdain had popularised the “laksa Sarawak” as a breakfast option where he referred it as “breakfast of the gods” and had featured the delectable dish in his globally-acclaimed series, No Reservation and the CNN Parts Unknown. The month-long Kuching Food Fair isn’t all about local cuisine. The dazzling array of street food inspired from the world all over can fill your evenings, the occasion an excellent way to mingle with the local community. 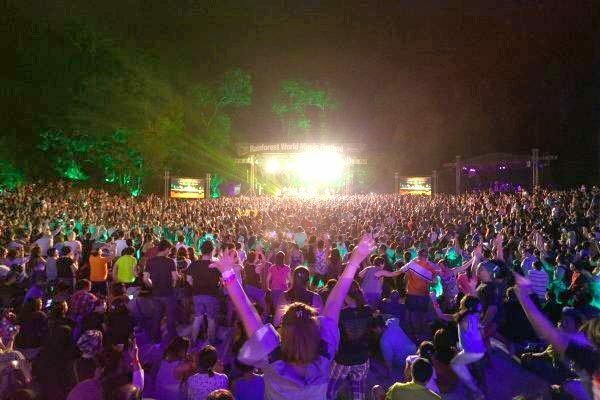 The festival typically stretches over the July/August period. For those interested in learning the art behind the dishes, there are even traditional cooking classes available. You can bring a taste of Sarawak back to your own home. 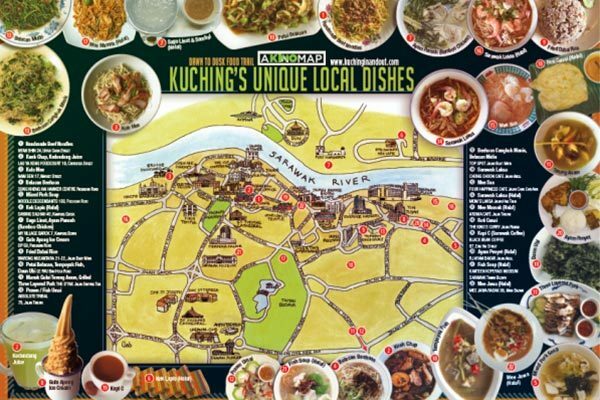 Discover Kuching’s unique local dishes, from the most iconic food like Laksa, to the lesser known specialties like Kopi C, using the KiNO Kuching Foodmap. 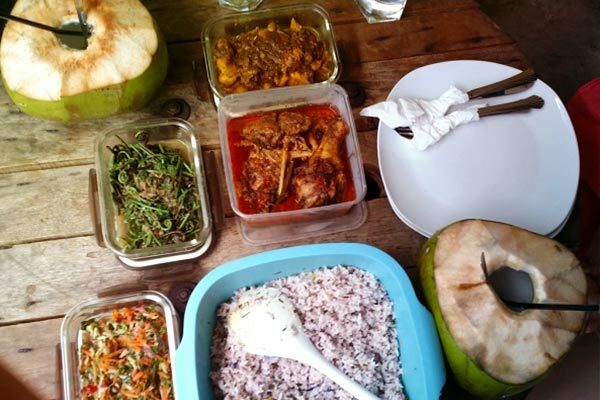 This ethnic cooking class will offer some of Sarawak’s favourite food such as Sarawak Laksa, Gula Apong Chicken, ‘Midin’ (organic fern), ‘kerabu’ (local salad) and ‘Ulam’ rice. This 3-day food festival celebrates the unique dishes, farming, forest and cultural heritage of the Bario Highlands. 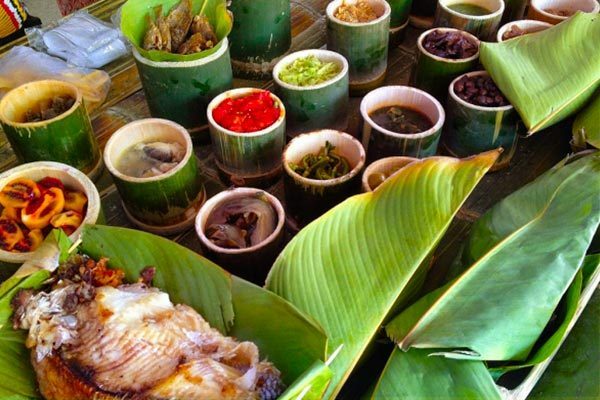 Enjoy the delicious organic food cooked by the various longhouse communities. For the first time ever, Sarawak’s top 3 most anticipated music and cultural festivals will be taking place in the month of July, back to back! Discover Sarawak through these musical packages in the month of July! The Rainforest World Music Festival (RWMF) is the region’s largest World Music event, bringing over 20,000 festival goers a year to the Sarawak Cultural Village in Kuching for a fun packed three-day weekend; featuring activities for children, cultural and musical sessions, food and crafts bazaars, wellness workshops and stunning performances.The Borneo Jazz Festival is the longest running jazz event in the region, entering it’s 14th year in sun-soaked coastal city of Miri, on the Northern side of Sarawak. It features Jazz music with a wild dash of culture and energy.The third edition of the Rainforest Fringe Festival is a prelude to the Rainforest World Music Festival and Borneo Jazz Festival, featuring music, art, craft, film, photography, food, and culture of Sarawak and beyond. Click here to find out more on the Festival packages. Sarawak is home for the most unique festivals in Malaysia throughout the year, thanks to the diverse demographic found here. 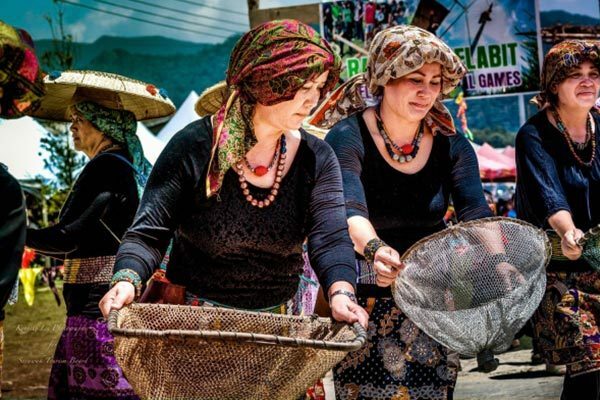 The celebration is literally endless, from the Gawai harvest festival of thanksgiving, to the Kaul which is celebrated by the Melanau fishing communities which marks the beginning of the fishing season, Sarawak offers a plethora of festivals for tourists to participate in. 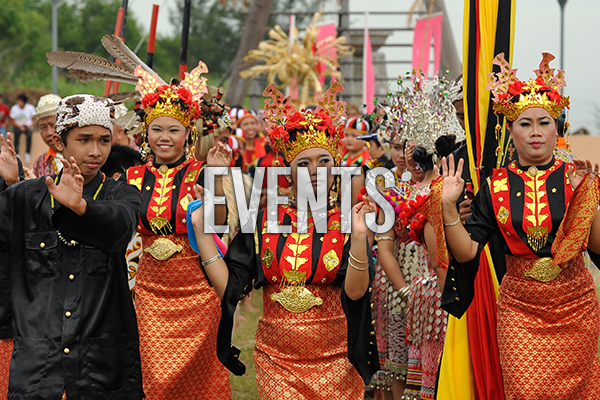 In addition, other spectacular festivals include the Kuching Waterfront Jazz Festival, Tidal Bore Festival, Borneo Cultural Festival and Sarawak Regatta. 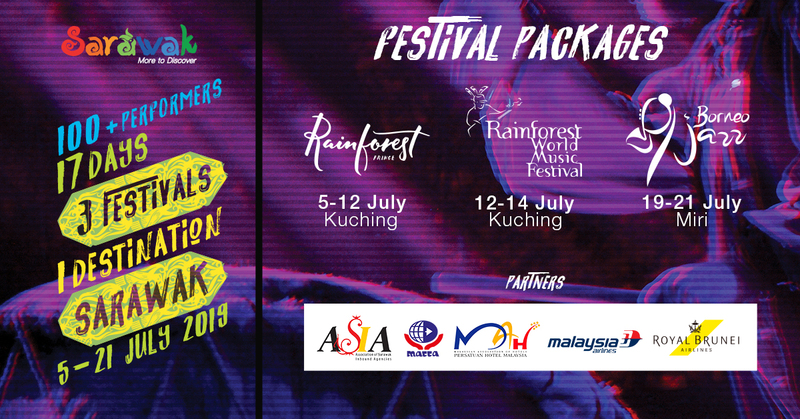 The Rainforest World Music Festival brings together on the same stage renowned world musicians from all continents and indigenous musicians from the interiors of the mythical island of Borneo. In the past, the Kaul Festival was held as a religious ceremony to appease the spirits of the sea, land, forest and farm making it the most important festival in the Melanau traditional calendar. The Sarawak Regatta dates back to 1872, during the days of the White Rajah, when craftsmanship, sportsmanship and competitiveness encouraged peace between the tribes along the Rajang. 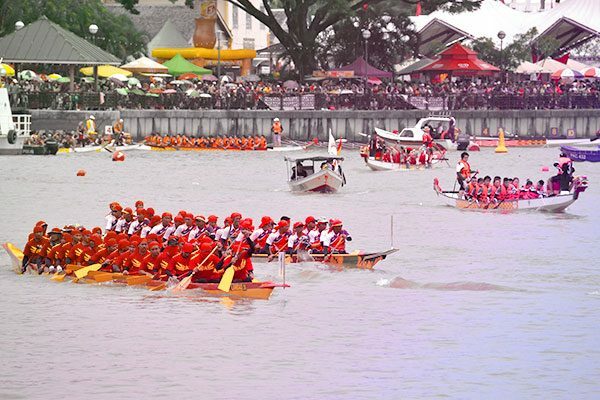 Held around this time is another iconic event, the Sarawak International Dragon Boat Regatta. 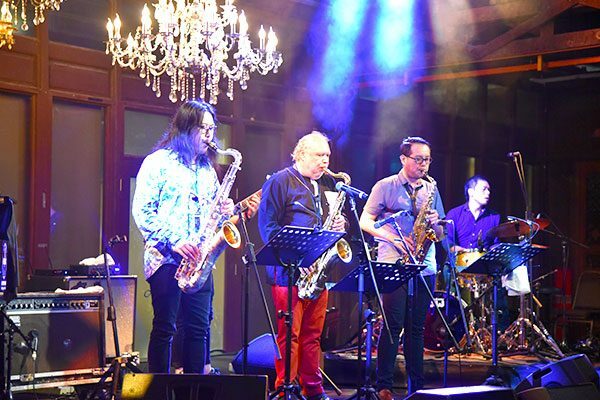 Borneo Jazz is one of the longest running Jazz festivals in the region, with performances from both regional and international recognised jazz musicians, in the seaside city of Miri. 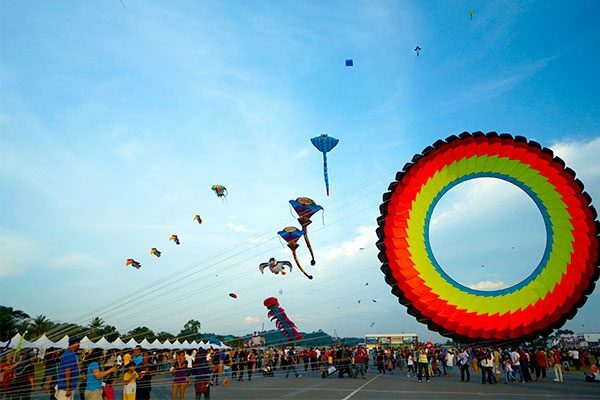 Borneo International Kite Festival is a grand festival where thousands of kites take flight over the sleepy seaside town of Bintulu, riding on the strong September coastal winds. 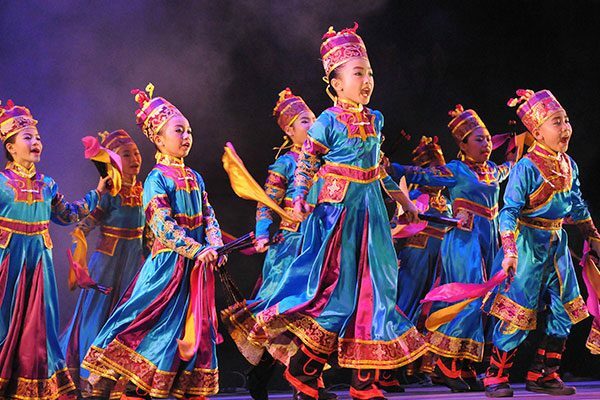 The Borneo Cultural Festival (BCF) is a week-long celebration of food, music and dances celebrating the diverse cultural background of Sibu‘s community. Kuching International Airport (KIA), Sarawak’s largest airport, receives direct international flights from Singapore, Shenzen (China), Pontianak (Indonesia) and Bandar Seri Begawan (Brunei Darussalam). Sarawak also receives domestic flights from Peninsula Malaysia and the neighbouring state of Sabah, with flights from Kuala Lumpur to Kuching, Sibu and Miri, flights from Johor Bahru to Kuching and Sibu, flights from Penang to Kuching as well as flights from Kota Kinabalu to Kuching, Sibu and Miri. To know the locations of the top things to do and places to visit, please use this customised Google map.